New Snapchat Emoji Meanings: What Do Red, Pink And Gold Hearts Mean And Why Did They Change Colors? 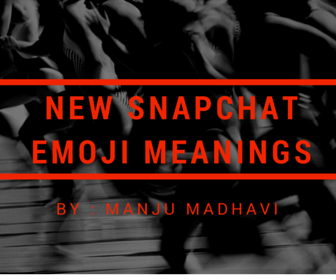 Well, as you know snapchat emojis are queens of expression! Now there are some new bees too in the world of snapchat emojis from August 5th, 2015. Yes, snapchat added some more new Emojis in this app so that it can be more confusing and interesting for you guys out there! The new snapchat emojis are basically of two types, having two different type of hearts. One is a red heart emoji and the other is of two pink hearts. You can see then visible beside your friends’ names. Confusing? Well what exactly do these hearts convey? Now there are two colors- red and pink. Which is better? Why I can see a fire next to my red emoji? Is it something to worry? What does red heart stands for? Well this is a good sign that you all would like. A red heart denotes that you are someone’s best friend continuously for two weeks. Is in that good? What does two pink hearts stands for? The two pink hearts are in fact some more you can get excited about! The two pink hearts emojis denotes that your bestie and you have been #1 best friend for over two months. This is something for those you stress on commitment and relationship in snapchat. If you are someone like, this can add a lot more of your excitement. What does gold heart or red heart with fire next to them mean? Now this is something different. Why a fire beside a red beautiful heart? Well, some of you may find a yellow heart beside some of your friends. In fact, this can be a worrying one right? You may notice a yellow heart suddenly turning to red and after sometime a red one back to yellow. Your bestie is trying to convey you something through this change? Mostly this can happen when your bestie is continuously using snapchat. Yellow heart: You and your bestie are #1 best friend. Here, you can send more and more snaps each other. Red heart: For two weeks continuously, you and your bestie are been #1 best friend. Pink heart: This shows that you and your bestie have been #1 best friend for two months continuously. Something good to appreciate! Faces with sunglass: This shows that a best friend of your is also a best friend of this person. When you send a lot of snaps to someone, they can also send you back with more snaps. Grimacing face: This shows that if you have a best friend, who is also the best friend of someone else. Here, if you send the snaps to your best friend, he or she will also get some more snaps from the other best friend too. This is something awkward. Not a positive one though. Smiling face: You can call then too best friends. Though may not be your #1 best friend. But still be as one of your best friend in your circle. Smirking face: Here, you are treated as their best friend. But they are not your best friends. Here, you can see that you may get many snaps from them. But you may not send any snaps to them back. I’m starting a blog soon but have no coding expertise sso Iwannted to get advice ffrom someone with experience. Any help woulld be enormously appreciated!